Perhaps the most impressive Western tradition of statecraft, at least in the modern era, is that of Prussia. To be sure, the liberal-democratic tradition launched by the United States  and France is formidable, and it is not without reason that it today dominates our world. But the greatness of America and France also relied upon a prosaic factor: sheer demographic and geographic size. Little Prussia in contrast accomplished feats with absolutely miserable resources, raising herself up among the great powers and founding the German nation-state through sheer force of will. 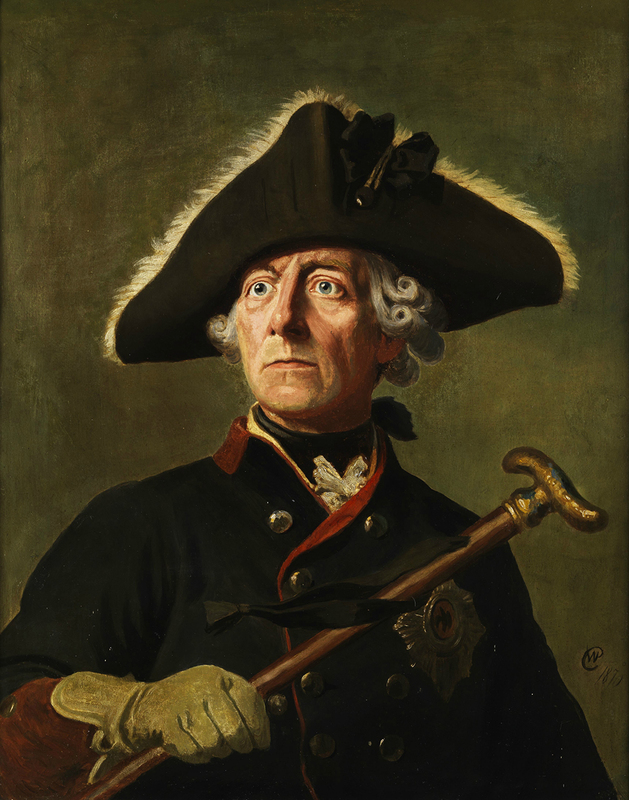 The Prussian “authoritarian” tradition, with its emphasis on hierarchy, community, and martial prowess, is then a useful counterpoise to the liberal-democratic one we take for granted today. Clausewitz and Carl Schmitt must be read beside Jefferson and Tocqueville . 1. My ability to directly study the Prussian tradition is sharply limited by my very inadequate knowledge of German. Concerning Frederick however, I am fortunate, as a blessed son of France, for the Great King wrote overwhelmingly in French. This reflected the preeminence of French as the European lingua franca of the eighteenth century and Frederick’s enthusiastic embrace of the French Enlightenment, or les Lumières. On other benefits of learning the French language, see Guillaume Durocher, “Learning French with Jean-Marie Le Pen,”  Counter-Currents, November 20, 2015.